We love USB gadgets here at Resource Techniques! We've already covered a USB washable keyboard, USB Beanzawave, another USB washable keyboard and a USB vacuum cleaner. Now it's getting colder many of our poor little fingers have started to get a little cold and a larger supply of tea and coffee isn't doing the trick. It's time to get warm. Slip on a pair of USB gloves from usbgeek.com and your hands will start getting warmer and warmer. It's a perfect design for those estate agents that have started to feel the cold. 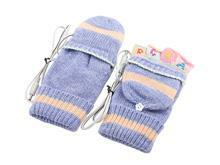 The flap at the top allows users to use the glove like a mitten or flap it back and type away with freshly warm fingers. Therefore, agents can warm the tips while they wait for their PC to load. The USB gloves works for anything that has a USB port including PCs, Macs and even gaming consoles. Do the USB gloves seem a bit manly? Why not try the 'Lady Version'? The lady version has the exactly the same spec as the male version but is much more colourful and has the letters A, B, C, and D on each finger. Lovely! Does this not get you in the Christmas Mood? Why not try the USB Christmas gloves!